﻿﻿Greetings Alumni, Family, and Friends of Penn State! 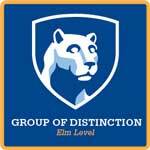 Welcome to the official web site of the Penn State Alumni Chapter of Greater Tampa. If you are new to our site, take some time to look around and learn more a﻿bout who ﻿ we are and what we do. ​​Saturday, April 13th - Paint Your Heart Out Tampa (PYHOT) - Join us in painting a house of a low-income, elderly citizen.